Gone are the days when businesses everywhere relied only on paper for operations and communication. Thanks to the development of technology and to the internet in recent decades, there are no many other options available and businesses of all kinds have profited from the high-speed data processing of these software programs. Various systems automate various business operations. Even a retail facility manager could find software solutions to appease their operational workload. 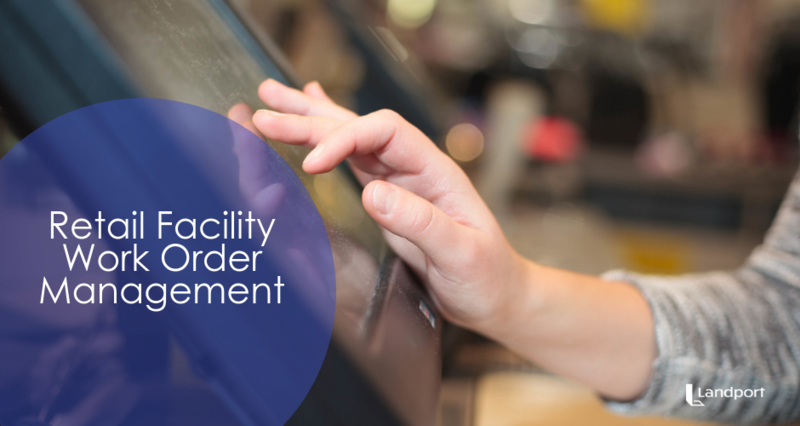 No matter the system, you’ll be sure to benefit from the organizational solutions available in most retail facility work order management software solutions. If you manage a retail property, make sure you aren’t missing out on the work order software solutions available today because as maintenance concerns arise, you can’t afford to lose track of current tenant demands. In particular, you’ll benefit in the five following ways; which should further convince you that work order processing solution is worth your investment. It’s no fun to shell out a ton of money to keep your facilities up and running. Sometimes, it can even be expensive enough to be a real stressor. You have to keep up with it so you don’t have to pay even larger repair costs in the long run. Some studies show, for many facilities, maintenance costs consume around forty to fifty percent of the company’s overall budget. And, other studies show facility management technology has shown to reduce maintenance costs by an average of 3.3%. It’s clear that investing in proper maintenance can take a toll on your facility’s budget, but this is especially true if you don’t use all of the cost-reducing avenues available to you. It’s also clear choosing the best software for your facility maintenance management could reduce your company’s overall maintenance budget. The good news is work order management software will help you reduce those costs by keeping you more organized. The more organized your facility is, the more maintained your facility will be. The more maintained a facility is on a routine basis, the less emergency expenditures are allocated. Don’t you think that’s worth the investment? Here’s one of the great things about maintenance management software: it’s eco-friendly. Gone are the days when all work orders were processed through paper hard copies of communication between facilities and their tenants. It’s time for the digital world to reduce that consumption of paper products. Perhaps you aren’t sure if sustainability is a worthy effort to pursue when it comes to facilities management. The thing is, your tenants might really care even if you don’t right now. Environmental awareness becomes more popular within society every day. Make sure the brand of your facility expresses its dedication to sustainable practices through all means possible. This might mean finding the best work order management software to help you realize this goal. There are other ways you can practice sustainable energy consumption within your facility. Check out these guidelines to get you started. Your company and your employees deserve to work in a sustainable, progressive work environment. One of the great things about work order management software is that it keeps great records. Everything is automatically saved. When a tenant submits a request, or when the request has been processed, everyone involved is able to verify the stage in which the work order resides. As mentioned above, working with a digital work order management system saves your operations a lot of paper. That means there is less of a chance that certain orders slip through the cracks. Avoid upset tenants who feel underappreciated by ensuring all communication and order processing is verifiable through a software program. Plus, your employees should never lose track of where they are at in a work order process with this type of software. At any point, they should be able to check into the software and figure it out. Thanks to the modern implementation of digital technology everywhere, processes and operations are able to be measured with precision. You, as well as other facility managers in the industry, should benefit from work order management software in just such a way. After a time of continued use with the software, you should consider whether or not your work order processing can be even further improved. Are you wondering how you could figure that out? The answer is in the program itself. Some of the best work order management software will provide analytics you can monitor and adjust as needed. If certain maintenance tasks prove to be inefficient within your facilities, the software will be able to tell you. If a certain maintenance employee is skirting his or her duties, the software will be able to tell you. All it takes is the initial investment in the software. After a time, you’ll be amazed at what the data tells you about your facility’s work order processing. It’ll be up to you to utilize the data at that point for the betterment of everyone involved. At the end of the day, you are most concerned with your company’s bottom dollar. It’s important when taking on any investment, to make sure it’s worth it. Fortunately, work order management software is worth the initial financial investment. That’s because, in the long run, it will be sure to save you time and effort throughout the entire facility. By quickly processing work orders, this software allows your employees to have more time for other responsibilities. In other words, this software can save you operational time, which in turn saves you money. Plus, don’t forget about the costs you will save by avoiding paper copies of work orders. By this point, you should have a pretty good idea of the benefits of work order management software. You, your employees, and your tenants deserve to have the best tools available to keep your facilities up and running in pristine condition. Stay ahead of the game with a fluid, internet-based work order software. We know how important it is to make sure every investment you make counts. That’s why we’re available to help you choose the best work order management software. We encourage you to continue your research and start investing in your facility’s future today. The best programs boast of convenience and user-friendliness, but few are as flexible and still affordable as Landport’s X1.